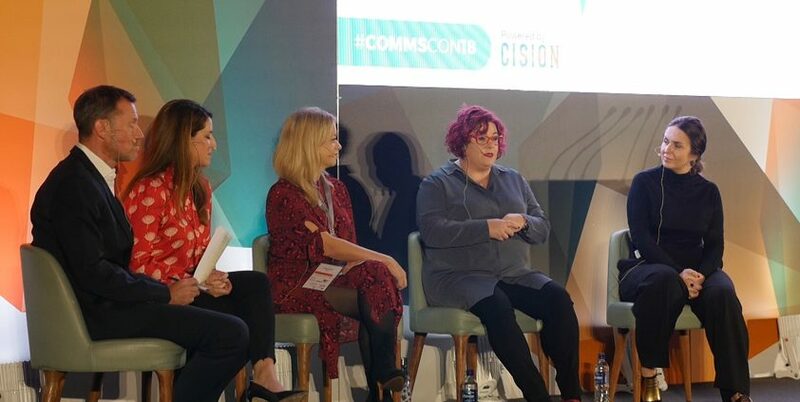 Creative storytelling was the order of the day at CommsCon, as a quartet of fabulous female storytellers shared their thoughts on how to develop engaging narratives in the day’s opening panel discussion. Chaired by PRWeek editor-in-chief Danny Rogers, the panel featuring Virgin’s head of media relations Tamara Bennett, Adobe’s group manager, EMEA communications, Kelly Bergl, WINGS Creative Leadership Lab founder Gabriela Lungu and HSBC head of campaigns Natasha Plowman explored how the convergence of marketing disciplines is changing the way marketers tell stories. The panellists started the session by presenting their favourite pieces of storytelling from the past year, before going onto explore the best techniques to create great integrated stories. Lungu, who has a background which encompasses both paid and owned media, nominated the Bihor not Dior activation has her favourite story. The campaign was designed to raise awareness of how big fashion houses often use local cultures as design inspiration, but that these cultures receive nothing in return. She made the point that the campaign demonstrated how creativity and original thinking can both solve problems and raise awareness of issues in an engaging way. “Creativity is about solving existing problems in a new way, and we need to be obsessive about originality,” she noted. She argued that rather than coming up with a great tale, storytellers should base what they create on what they want their target audience to do after seeing the campaign. “Good storytelling means starting with a clear measurable outcome that you want from the target audience – otherwise you’re just floating things out in the sky,” she said. Bennett highlighted Virgin Holidays’ LGBTQ+ campaign, which imagined what it would be like if a straight couple received the same type of treatment on holiday as gay couples sometimes do. She said that when Virgin looked to tell stories, it focused on business outcomes and changing perceptions, rather than creating “PR for PR’s sake”. Similarly, Bennett noted that storytelling should be focused on exactly that; telling the story, rather than looking to gain maximum exposure by going viral. “It’s always about the story and not the channel,” she said. 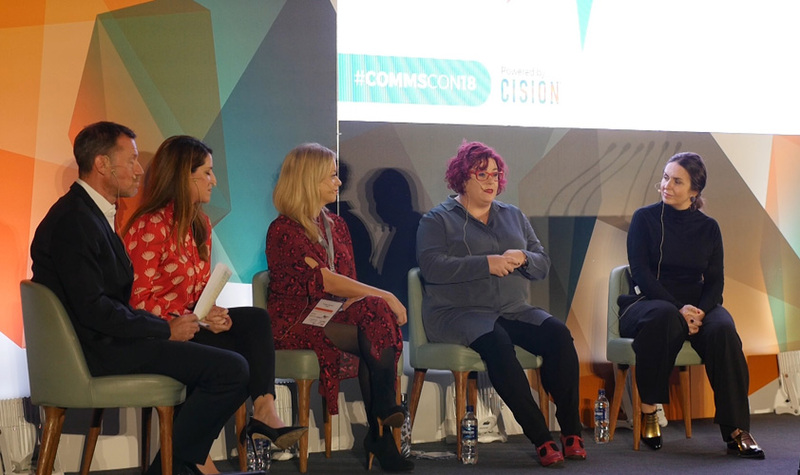 She also praised charities for the way they tell stories to earn donations, stating that some of the best and most innovative storytelling comes from the sector. Finally, Bergl showcased one of Adobe’s most successful B2C campaigns; a digital recreation of the artist Edvard Munch’s 100-year-old brushes, which were made into perfect digital replicas for Adobe Photoshop CC. Bergl also added that she thinks herself lucky to be able to partner with PR, marketing and branding agencies who are loyal customers of the Adobe Creative Cloud and that she “gets a kick out of ” working closely with natural brand advocates.